Student conversation hosts from TableTalk will help facilitate discussions. “Conversations on the Quad” debuted last semester with a discussion of “Building a Culture of Innovation at Emory.” Designed as an updated take on the traditional “Classroom on the Quad” concept, these events pair free-form conversations around designated themes with ongoing social media engagement. I believe that each person who experiences the magic of TableTalk℠ absorbs the “pay it forward” mentality and perhaps unintentionally becomes more open to different perspectives and different types of people in future interactions. Each incredible student leader who I have the pleasure of working with will have their own unique moments in which they are impacting individual people. 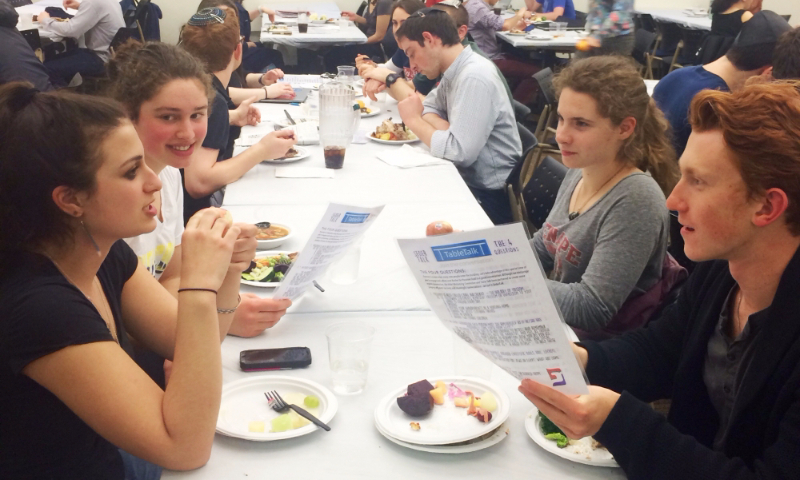 TableTalk℠ Global held several events in honor of the National Week of Conversation. 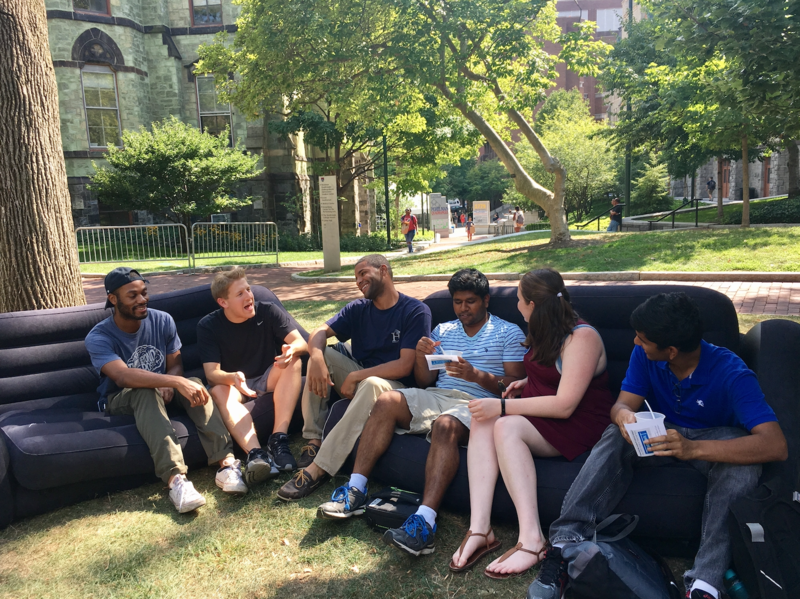 The TableTalk℠ Penn Chapter, for instance, set up inflatable couches at the University of Pennsylvania where anyone passing by could stop, sit, and meet new people. 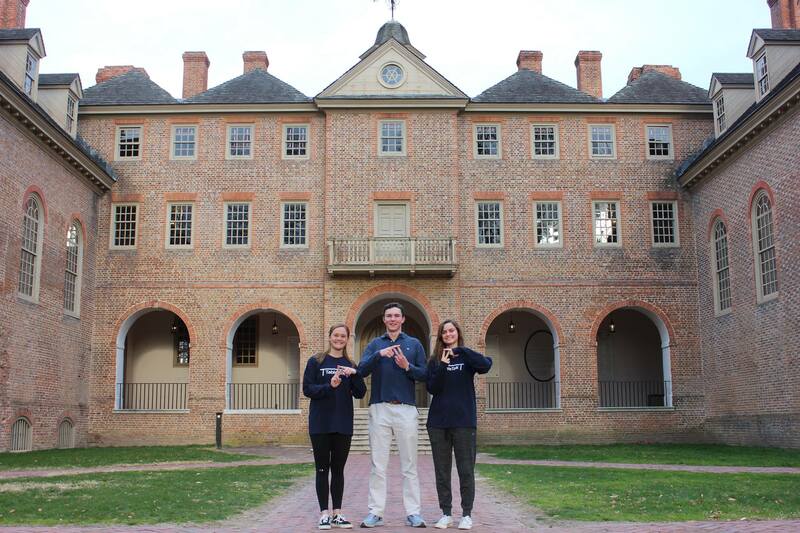 Founded by two students at Emory University in 2013, TableTalk℠ has continued expanding to more universities and high schools across the nation. 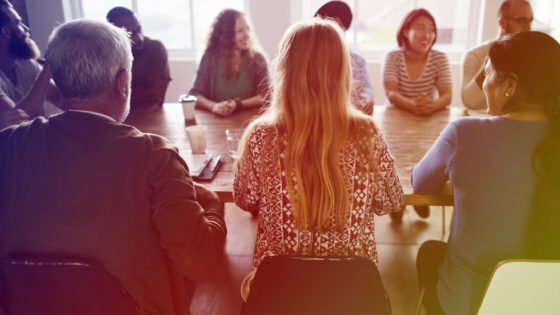 It is set apart from many discussions-based organizations because of its style of discussion.“We’re trying to create less polarization and more collaboration and a way to do that is through respectful discussion and productive discussion that’s hopefully not politically charged,” Golding said. 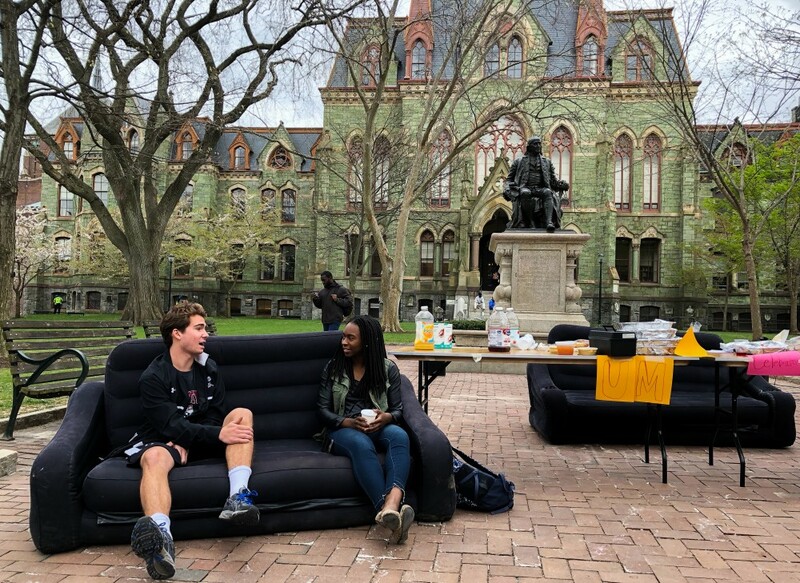 As part of their annual “Celebration of Cultures” event, the UMC partnered with TableTalk℠ Penn to set up couches in front of College Hall, where anyone passing by could sit to talk about culture and food in their lives on and off campus. “We were really happy with how many people came up to us and inquired what was going on,” Anglade said. Dining halls are loud; students enjoy talking over their meals about good grades, bad roommate situations or the dining hall food itself. If you have ever found yourself curious about the lives and thoughts of other students, specifically those far different from yourself, there is an upcoming chance to meet them. “TableTalk”℠ has come to the College and will have its first event in mid-April. We always noticed a divide between distinct groups at Emory. People’s social lives are regularly determined by their freshman hall, Greek organization, religious affiliation, and hometown. 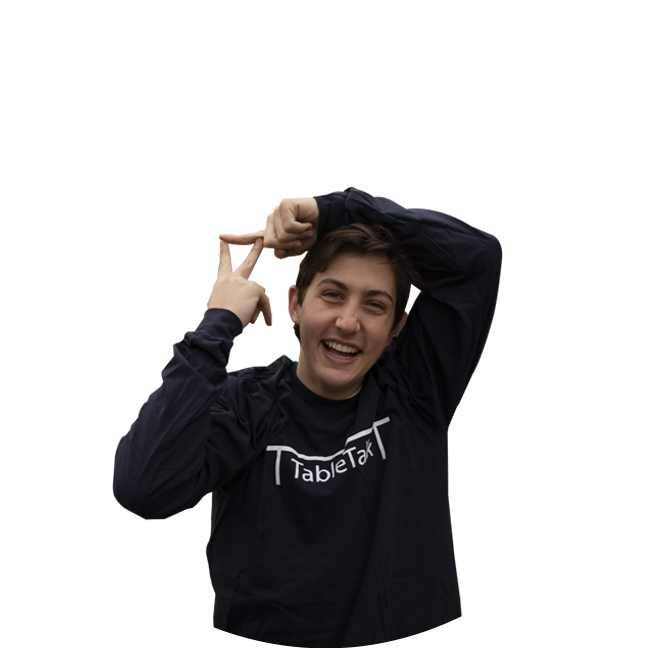 We wanted to get involved with TableTalk and CampusCouches because it gives students the opportunity to meet others they wouldn’t ordinarily interact with and creates a platform of conversation for anyone who wants to participate. 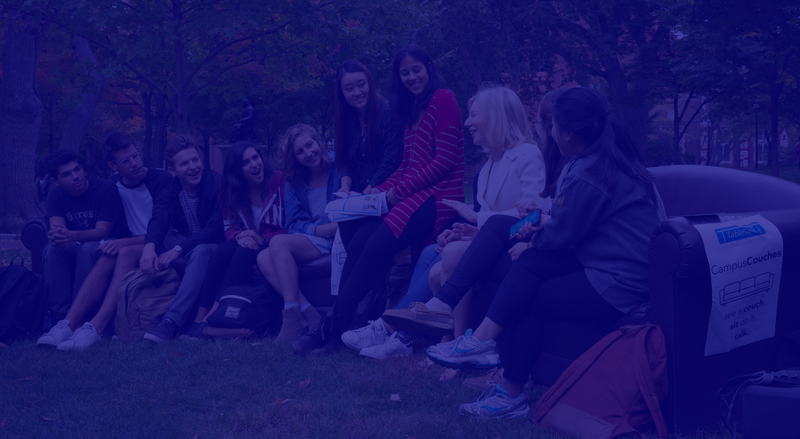 Members of Harvard’s new “TableTalk℠” initiative spent upwards of an hour in extensive conversations sparked by the question “how are you?” Monday evening. 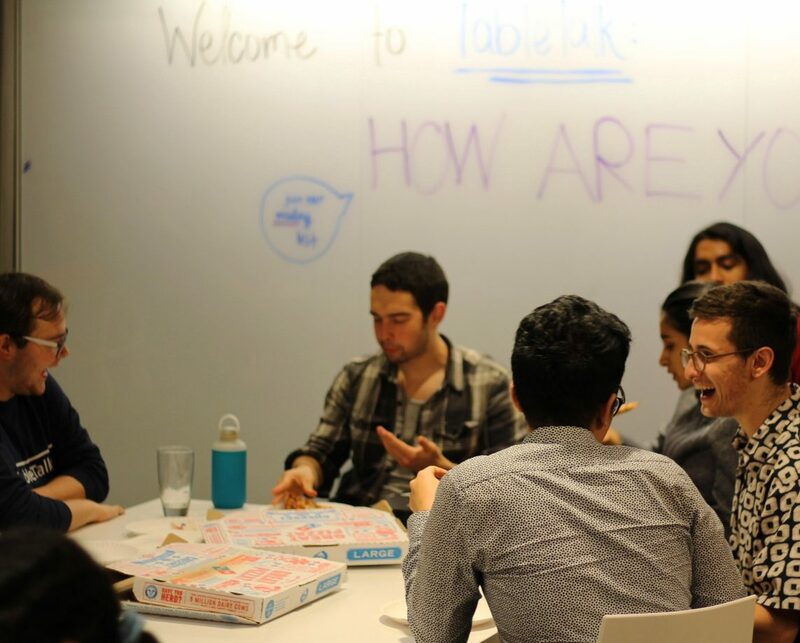 Founded by students at Emory University,TableTalk℠ is an initiative with branches at several colleges whose mission is to bring people together in innovative ways, according to the group’s website. 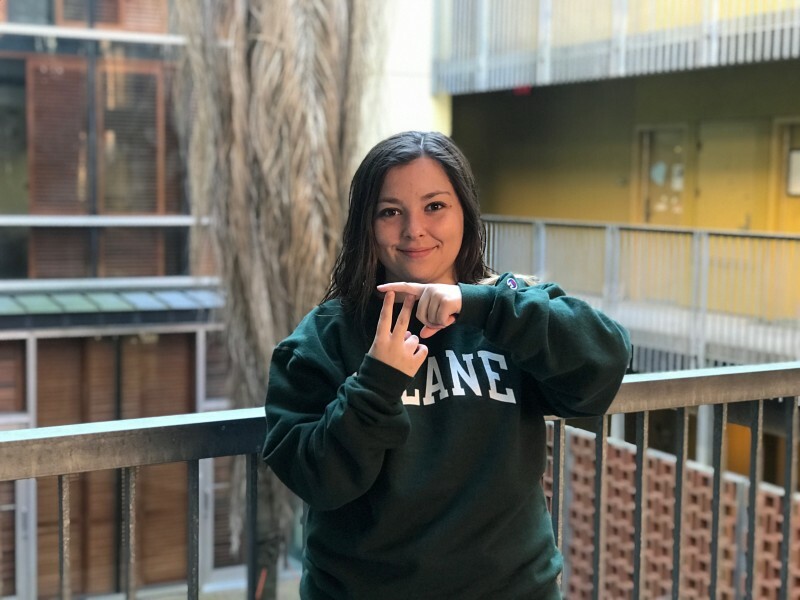 Olive Baerde, a sophomore, started TableTalk℠ at Tufts last year. Baerde was looking for a way to recreate the atmosphere of first-year orientation in an experience for all grades. 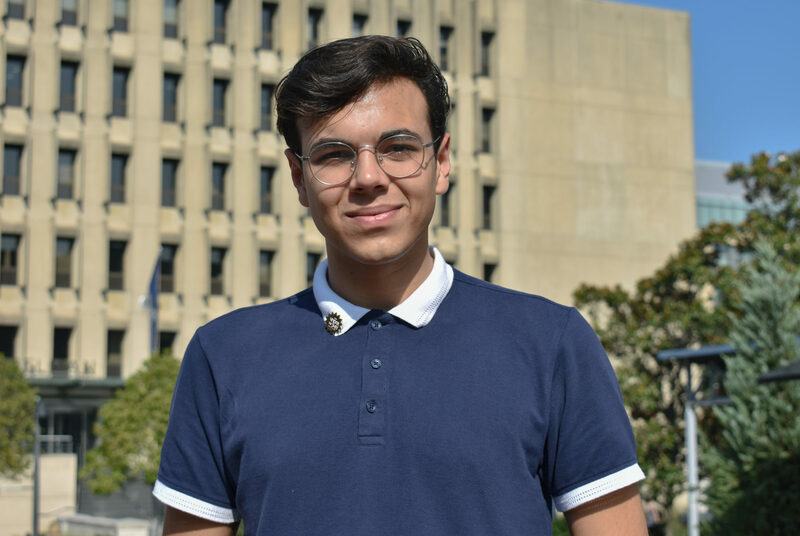 “I realized that people are very friendly during orientation week and everyone wants to know new people, but once orientation week ended, they [started] forming their own friend [groups] and people are less likely to branch out,” Baerde said. 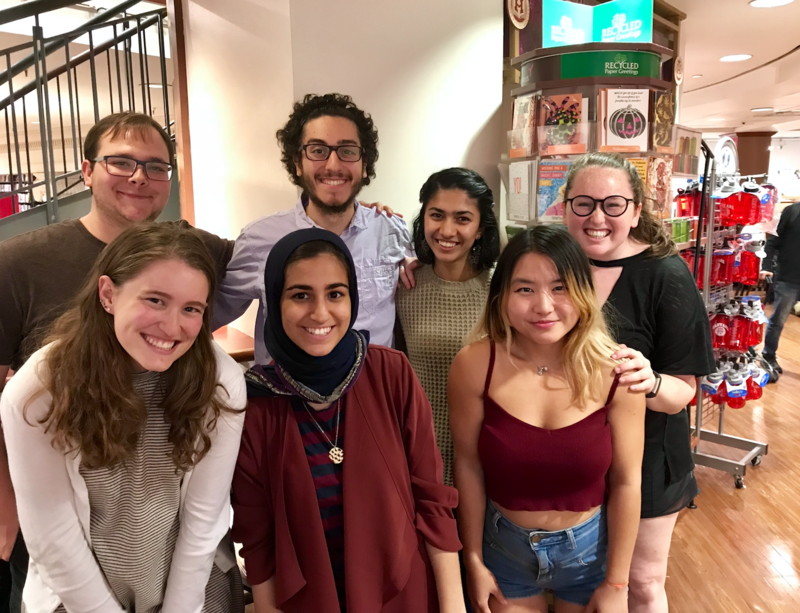 Buddhist, Christian, Hindu, Jewish and Muslim students — and students who don’t identify with a religion — were all present at TableTalk’s℠ first discussion about religion this year. 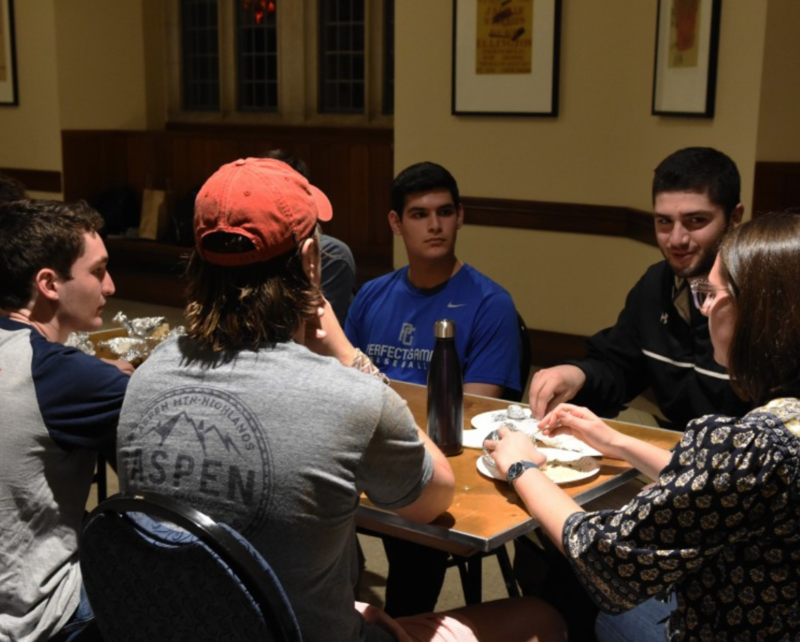 The discussion, titled “Religion: Unlocking the Millennial Mindset,” was organized for students to learn from others in different religions and have discussions about being religious in college. The list of questions prompted students to begin their discussions by sharing their family histories with immigration. 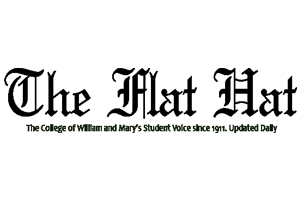 The discussion instructions asked students to, “[r]emind your groups that this is a safe space and a shared space.” Conversations shifted toward whether students knew any people who are affected by the ban. 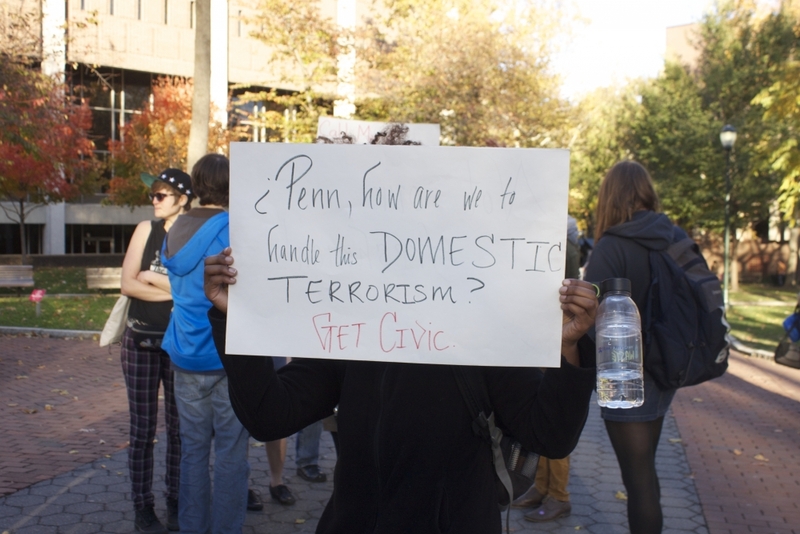 In the wake of a racist group message targeting black freshmen at Penn and other hate crimes against minorities, many students have been left fearful and rattled. Others, however, are wondering how they can help. 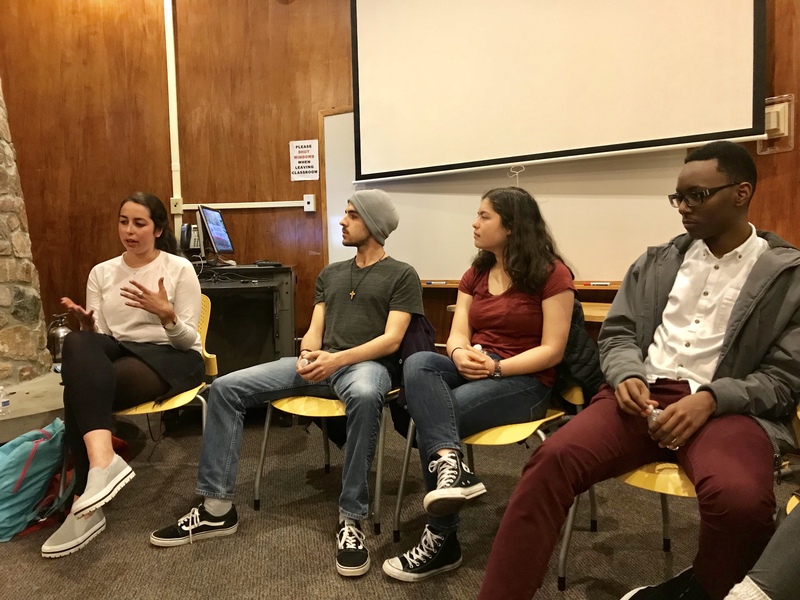 TableTalk℠, a student group dedicated to promoting conversations among students, held a forum Wednesday night on how students can become better allies for marginalized groups. 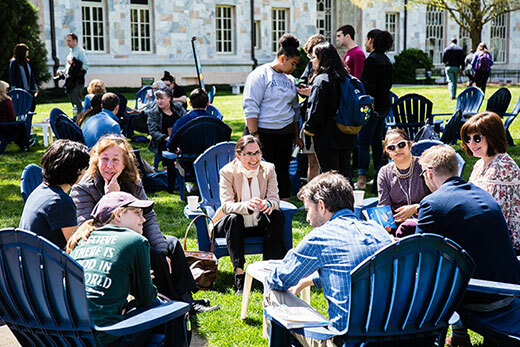 CampusCouches is one of four initiatives from the group, which aims to provide room for serious discussions among people who might not otherwise have them. 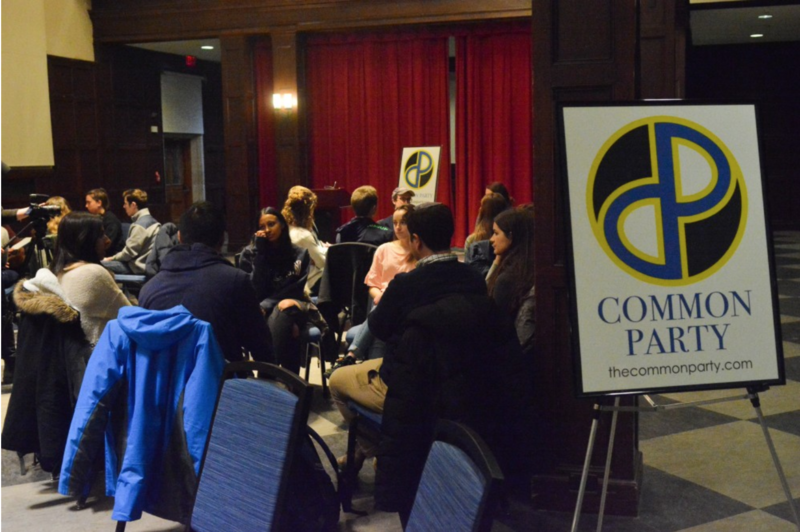 Last semester, a mental-health TableTalk℠, also the name of one of the group’s programs, proved to be the best-attended event yet, with about 100 participants. The next, coming up in early October, focuses on sexual assault on college campuses. 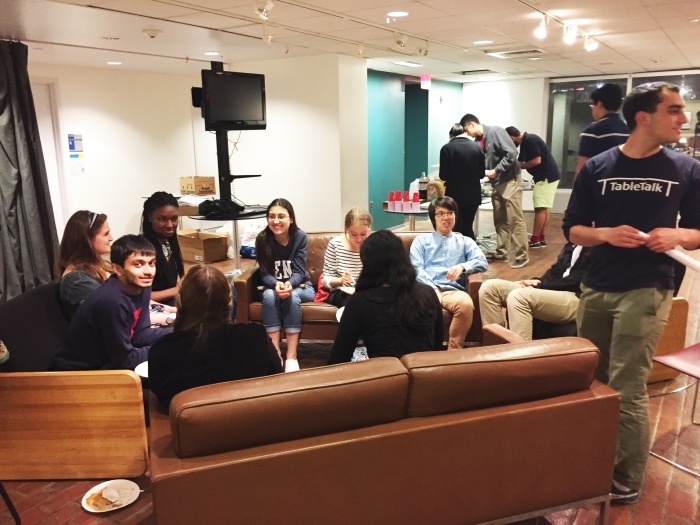 Every couch and table was filled in Harnwell College House rooftop lounge on Tuesday as students gathered to engage in an open dialogue about mental health as part of the #TableTalkTuesday initiative launched byTableTalk℠ Penn. TableTalk℠ tries to create a safe space at each of their events in the hope that the open atmosphere will inspire progress. 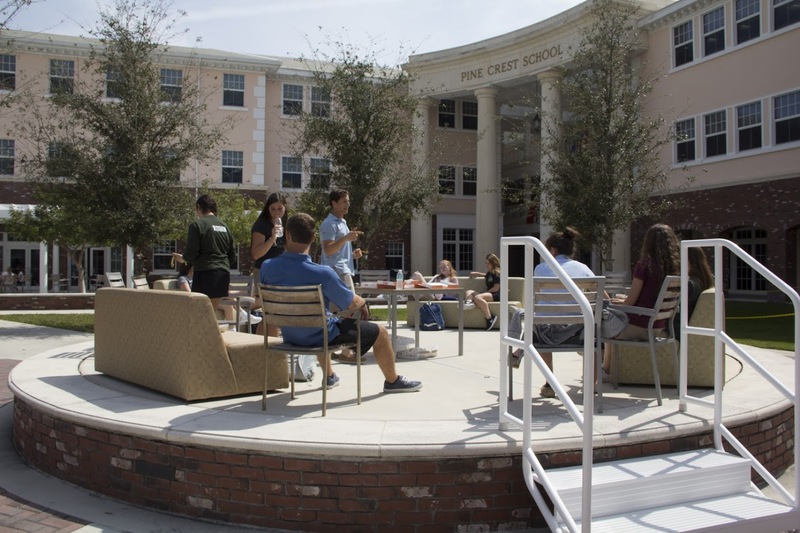 More than 150 Upper School students participated in Pine Crest’s TableTalk recently, marking the one-year anniversary of the program’s arrival to campus. 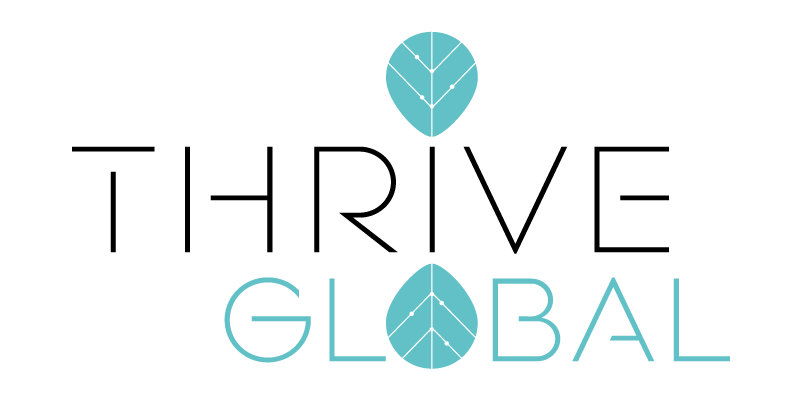 TableTalk is a platform for conversation between people who would not meet under ordinary circumstances. 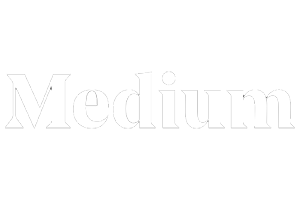 The effort began a few years ago at Emory University and spread to several other universities, including University of Pennsylvania and Indiana University. 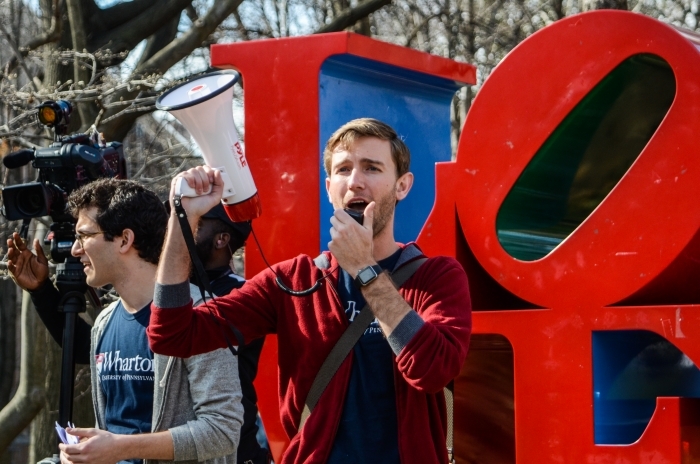 Through five initiatives, TableTalk℠ facilitates conversations between people at Penn who might not ordinarily interact. 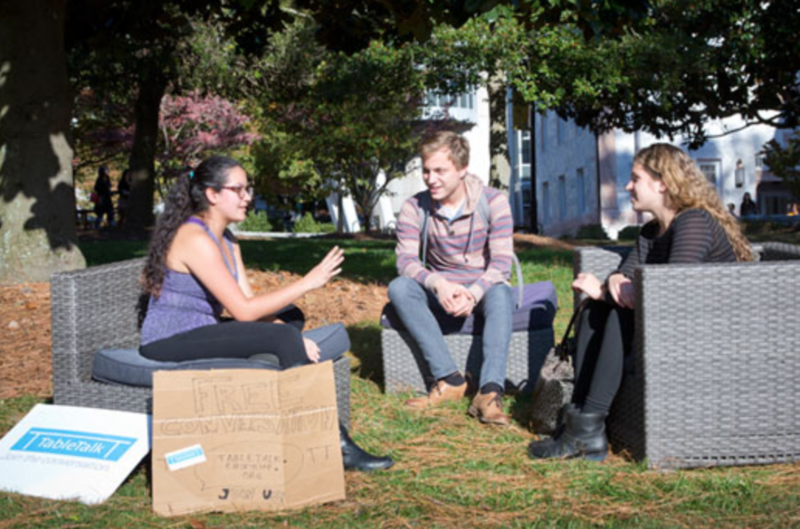 “Each initiative fosters various kinds of dialogue, from small talk between individuals on a couch to discussions among student groups, or meaningful dialogue that encourages students to engage in the larger questions,” Beren says. Upon arriving at Emory, students leave the bubble of their hometowns and are exposed to different cultures. However, sometimes this change can be overwhelming, causing some to gravitate toward and find comfort with people whose backgrounds are more similar to their own. 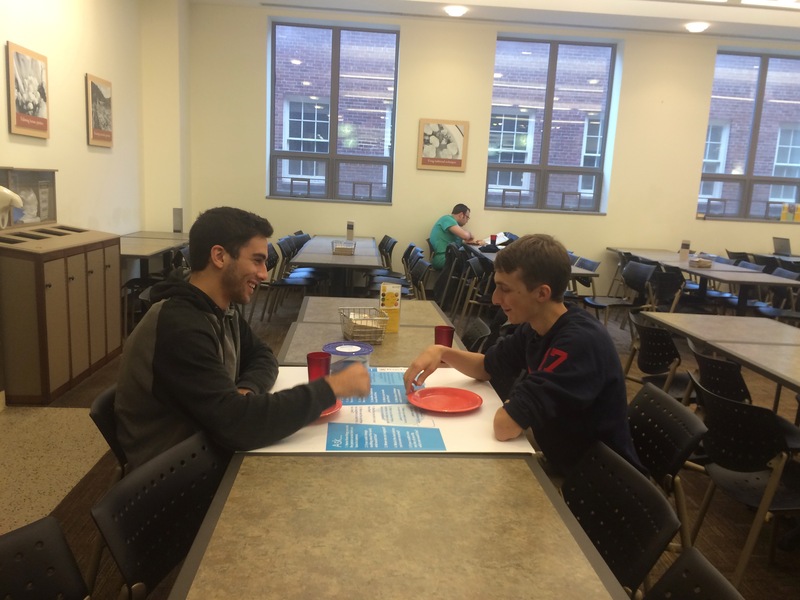 This fall, Brandeis welcomed its newest club, TableTalk, which which aims to foster conversation between students on a range of topics. 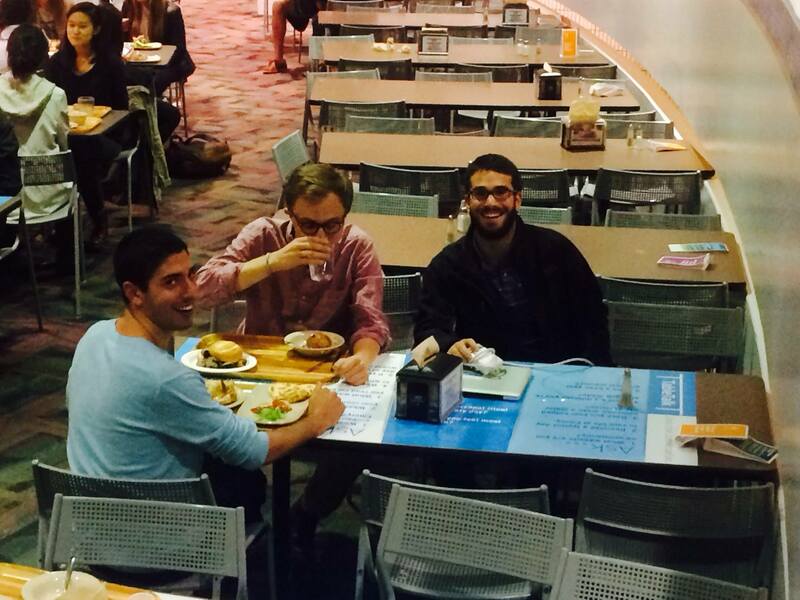 At its first event on Oct. 1, students gathered on the couches in the SCC Atrium to speak to each other. Brandeis sophomores Anna Stern ’18 and Skye Golann ’18 started the club, hoping to improve culture on campus by bringing students together via discussion. 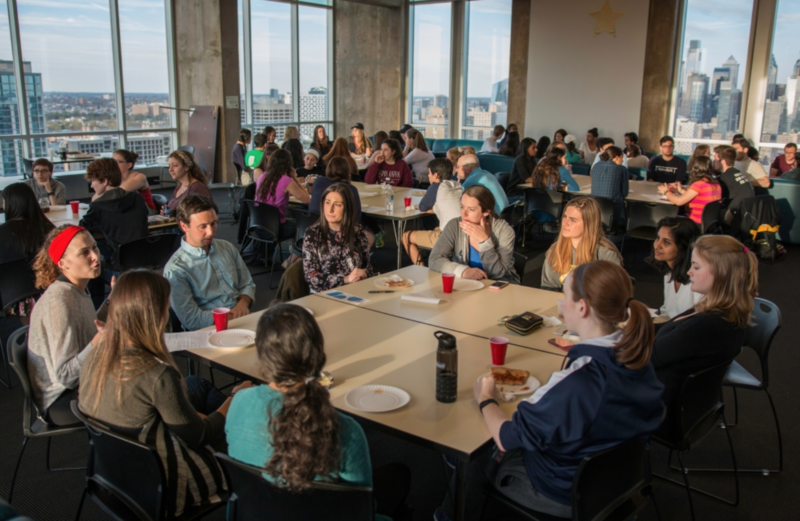 Tired of eating at 1920 Commons in silence, awkward elevator rides and the rush of unfamiliar faces down Locust Walk?TableTalk℠, which started at Emory University in fall 2014 and came to Penn last semester, hopes to increase interactions among Penn’s diverse student body. This event is a part of TableTalk℠, an event inspired by the FreeConvo campaign, which aims to bring people of all backgrounds together as they pass by public space. 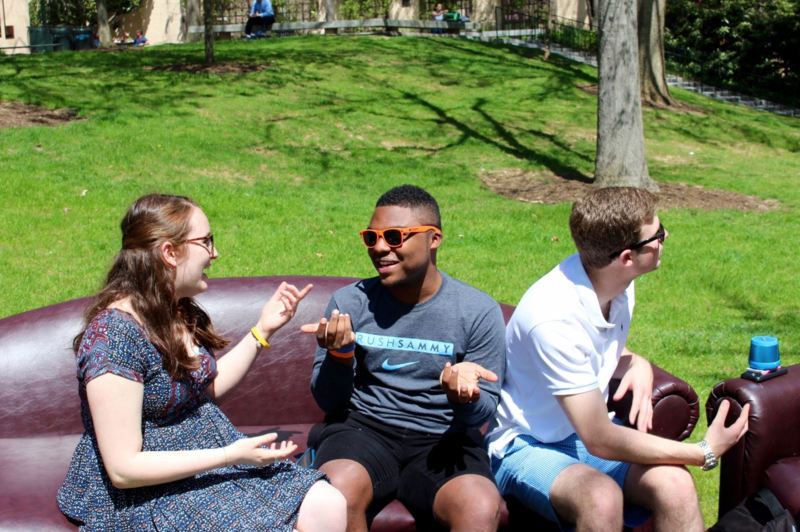 TableTalk℠ encourages students to communicate without the use of technology either at lunch, a table or — in this case — two couches. 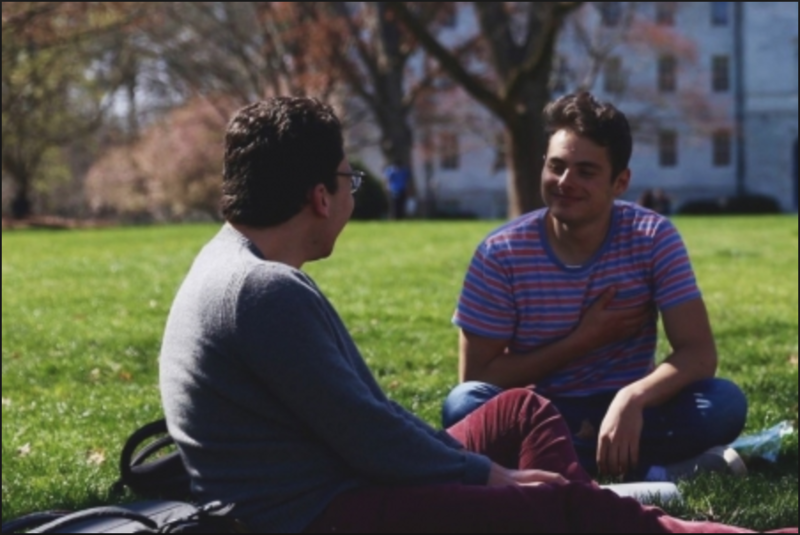 Informal interactions flourish during CampusCouches, one of three initiatives from TableTalk℠designed to encourage communication across social and cultural barriers. What if a world of misunderstanding could be healed with a conversation?